Do your employees complain that your compliance training and communication is boring, time consuming and irrelevant? Compliance Wave delivers Microlearning - short, engaging and effective compliance training and communication that employees look forward to seeing. Compliance Wave’s parent company, Steele Compliance Solutions, is a veteran and leader of compliance. The Steele third-party solution combines due diligence with cloud-based automation and advisory services that help organizations comply with regulatory and third-party compliance requirements. By leveraging Steele’s leading reputation and our world-renowned training library, we provide businesses with an enhanced compliance solution, empowering your key decision makers to act strategically and confidently. Want To Banish Boring Compliance Communication For Good? Raising awareness doesn’t need to be intrusive. 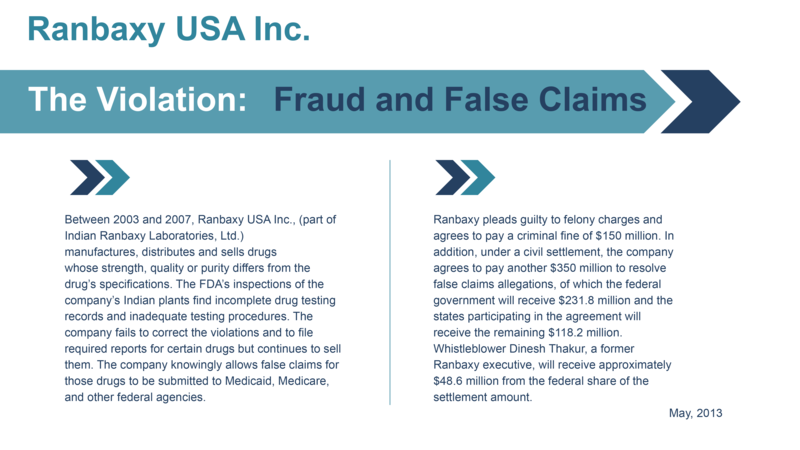 Get a free sample of Integrity Squares, a compliance tool that employs artfully designed, tweet-sized quotes. Short, engaging, entertaining – that’s the key to getting and keeping your employees’ attention. Every piece of content you send out has a clear message and call to action, so employees aren’t just entertained – they’re learning. We understand that every organization has unique compliance needs, so we make each of our 2,000 pieces of content yours to completely customize. From branding and visuals to specific workplace examples, it's easy to send out engaging and targeted content. Easily embed Compliance Brief videos in your intranet, LMS and training presentations, or stream them through your organization’s newsletters, over internal video outlets or during training presentations. 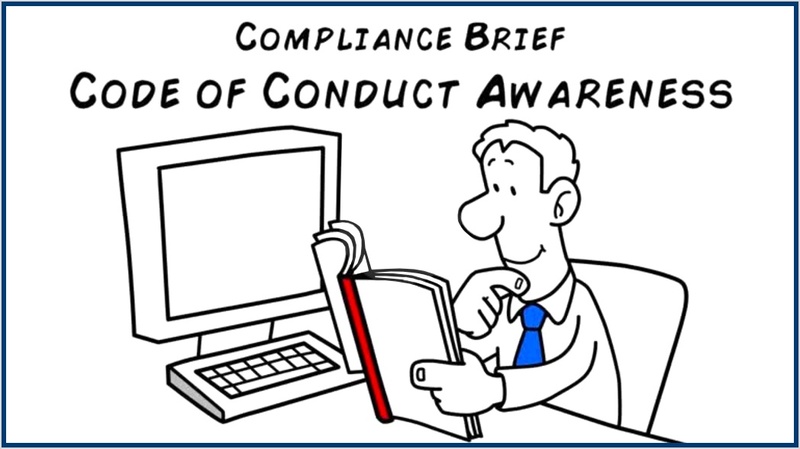 Compliance Briefs can be customized and are available in multiple languages. Inform your audience on key compliance issues with well-designed newsletters, editable to include your branding, visuals and examples. Our newsletter templates are easy to print and available in multiple languages. 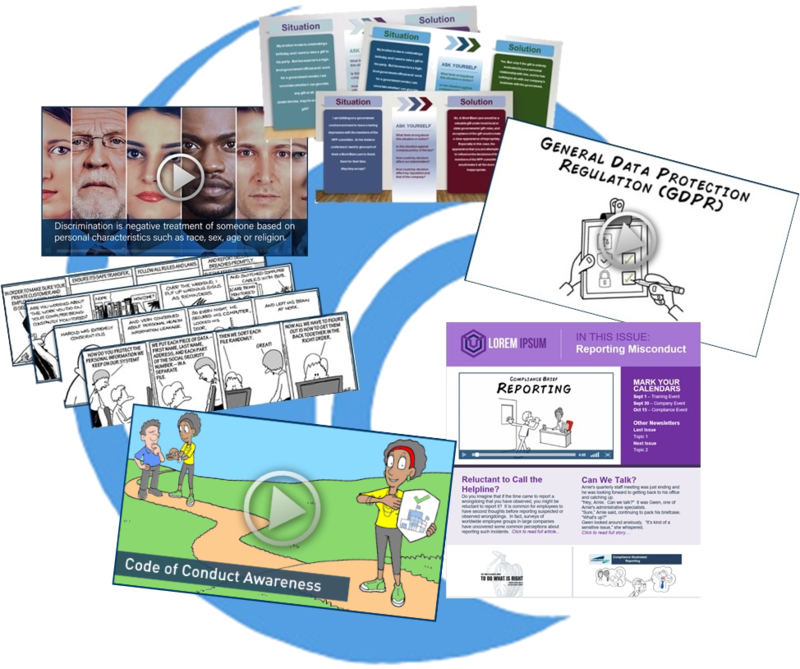 Engaging Ethicsland™ cartoons disrupt employees’ typical associations with compliance topics, clearing the way for effective learning. 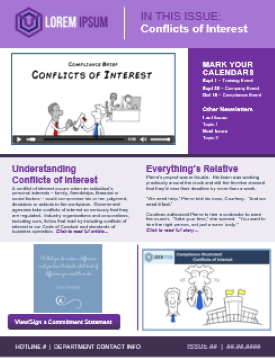 The cartoons provide clear takeaways and leverage adult learning principles rooted in behavior-change science. 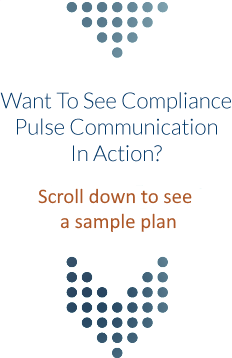 Amplify your compliance training messages with case studies pulled directly from the headlines. Every case study carries a clear message and call to action, so employees aren’t just entertained – they’re learning.